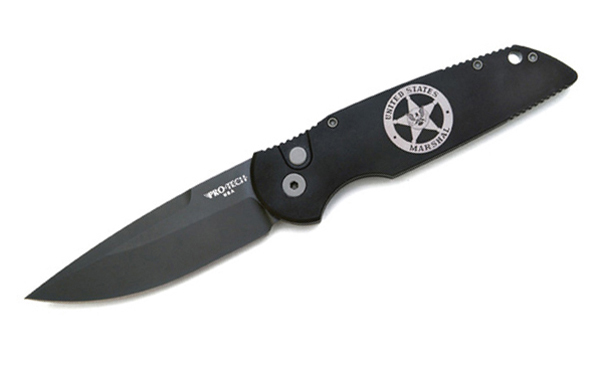 Pro-Tech Knives is proud to offer in house custom laser engraving of law enforcement, military, and company logos on our fine products. 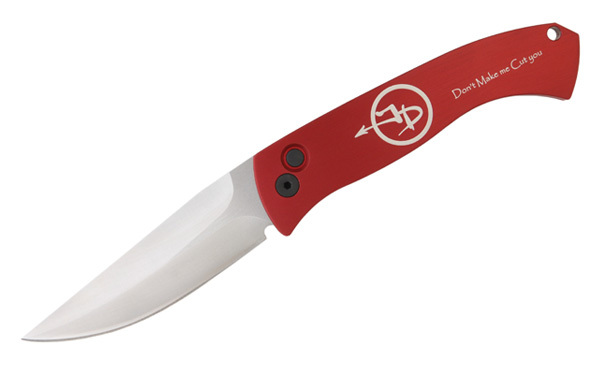 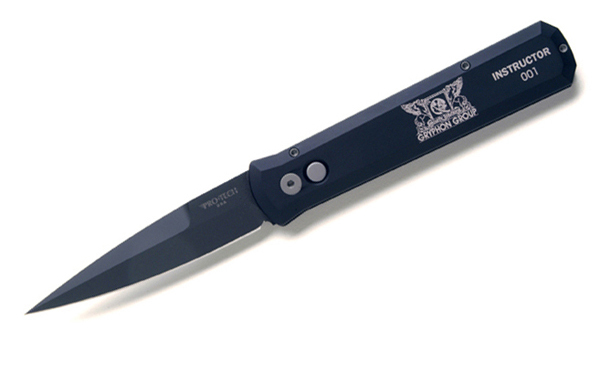 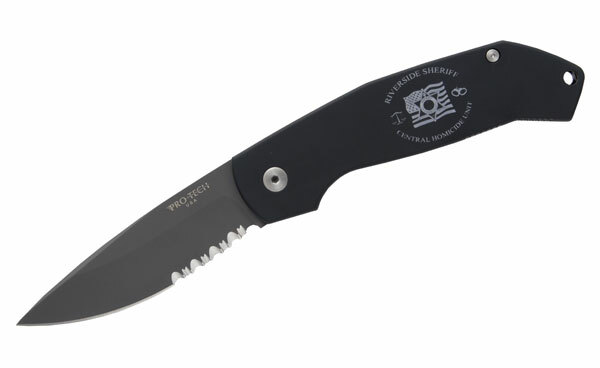 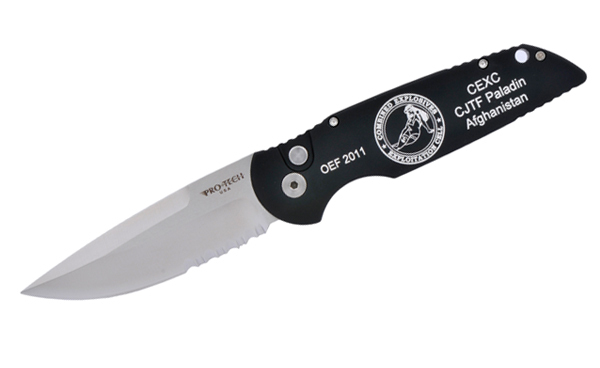 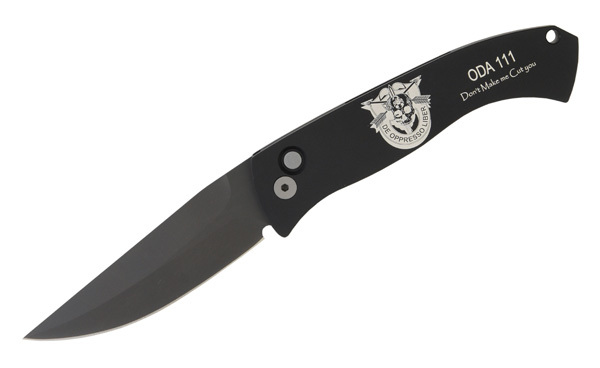 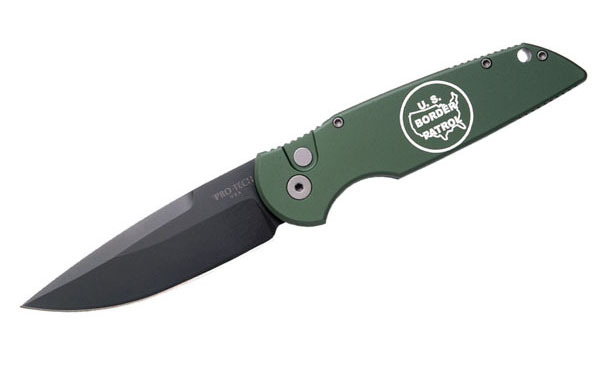 Our laser engraving capacity allows us to create small to large runs of custom logo knives. 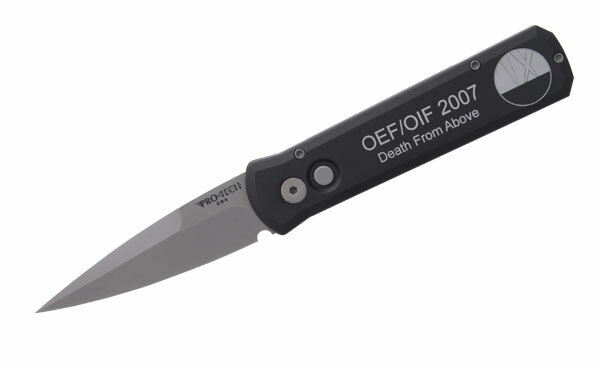 Contact your favorite Pro-Tech knife dealer or Pro-Tech directly for more information. 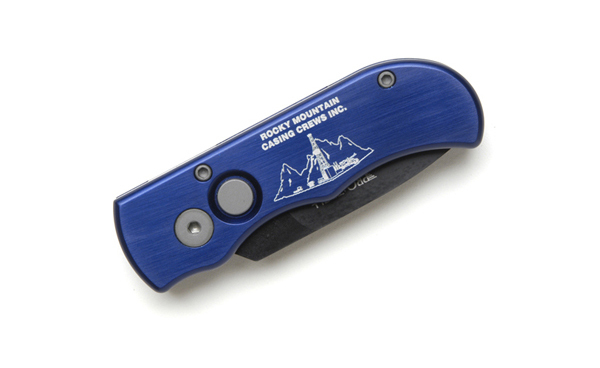 Please call or email for pricing and information on our laser engraving services. 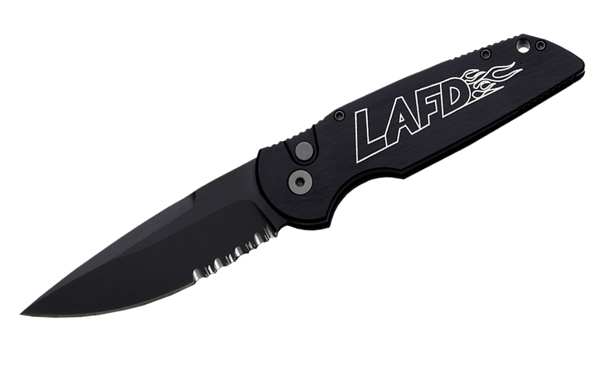 Call for complete details (562) 860-0678. 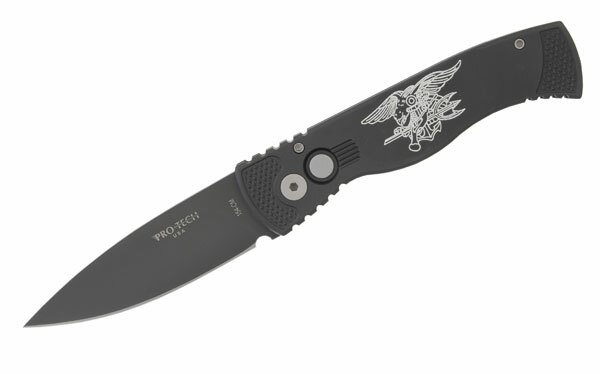 Custom Laser engraving available to all branches of the U.S. Military. Call for information about making a custom group of laser engraved Pro-Tech knives to commemorate your special event. 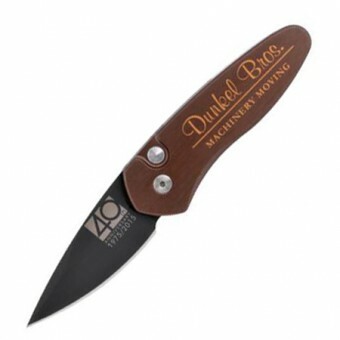 Give your best employees something they will treasure. Company logo knives available for groups large and small. Below are examples of Pro-Tech models with laser engraving. THESE KNIVES ARE NOT FOR GENERAL SALE. 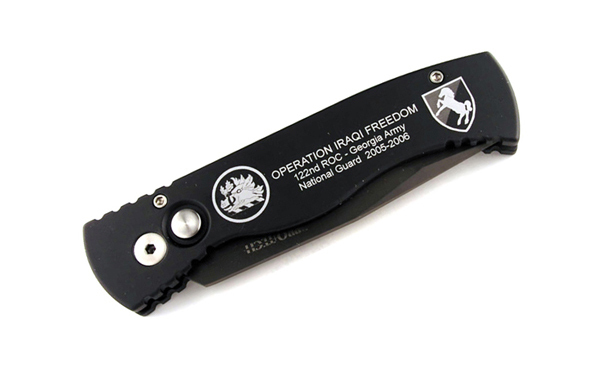 They are intended only as samples of our fine laser work. 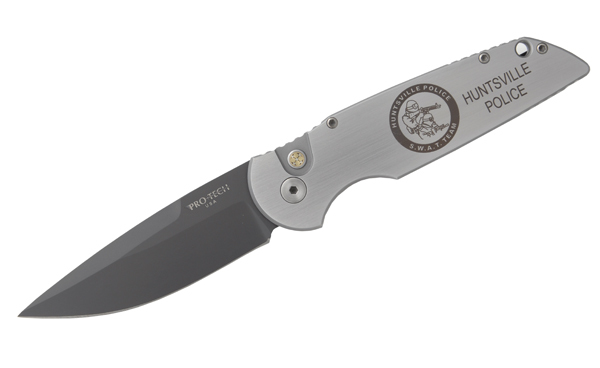 SPRINT Knife with both custom laser engraving on blade and multi-color anodized logo on handle! 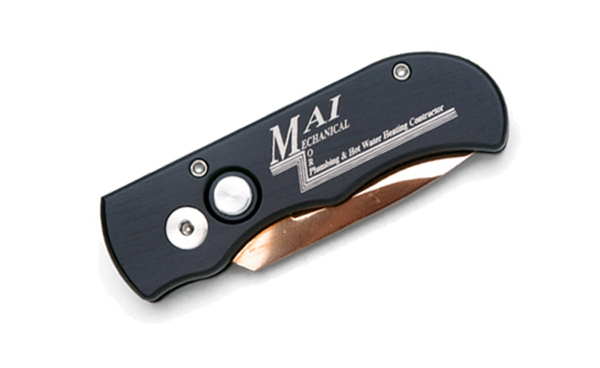 For the ultimate in customization – turn to Pro-Tech! 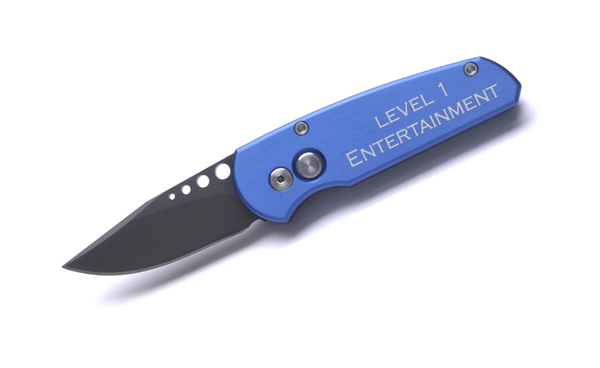 Endless possibilities with custom engraving and very special multi-color anodizing. 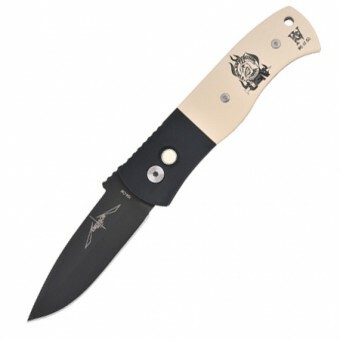 Great detail in this laser scrimshaw style engraving. 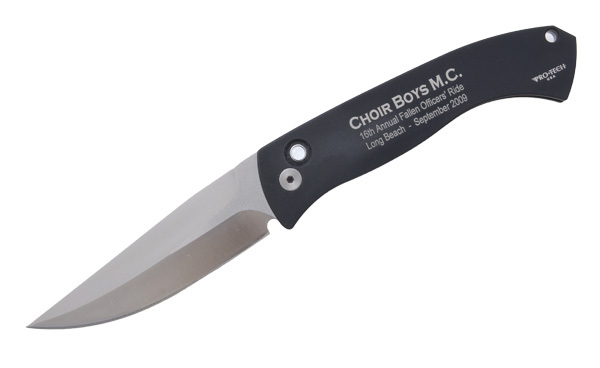 The ivory micarta is laser engraved and then filled with a black epoxy – special engraved group for the USN Gathering #4 in Las Vegas. 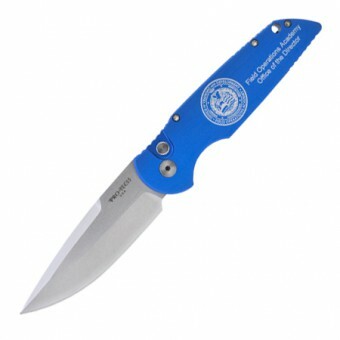 TR3 Field Operations / custom blue and satin TR-3. 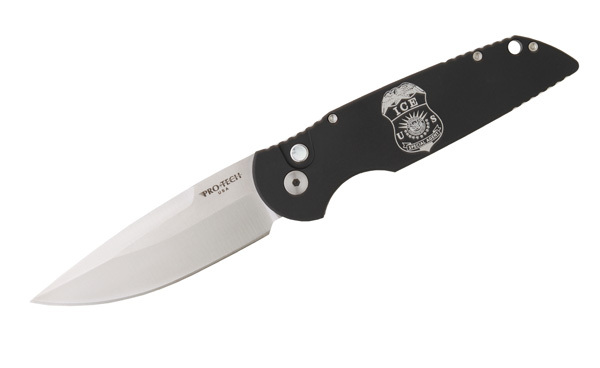 US Customs / One of our best sellers to Police and Military – the Tactical Response III – shown here with custom Department of Homeland Security engraving. 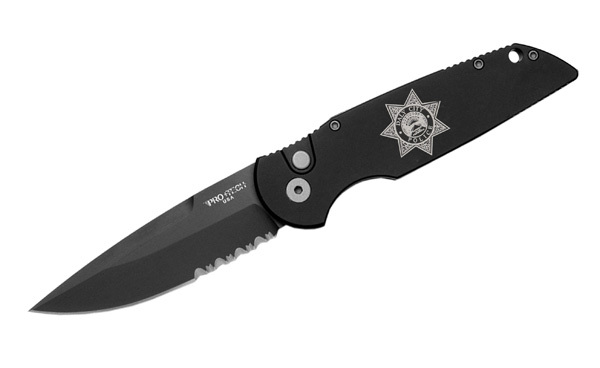 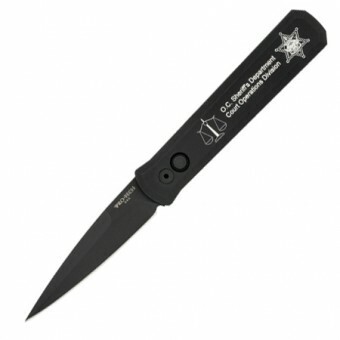 OC Sheriff – our 921SWAT all black Godfather with custom laser engraving for the Orange County, Ca Sheriff’s Department. 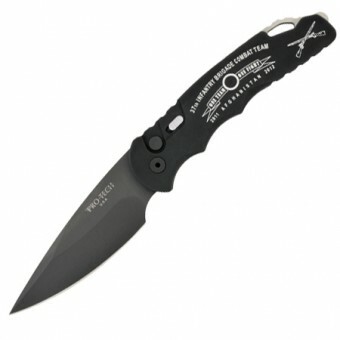 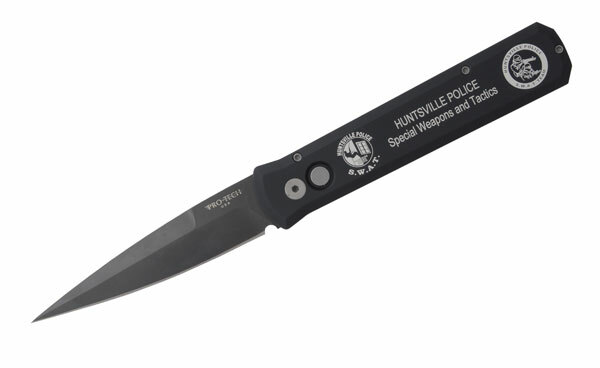 TR-4 37th Infantry / One of our newest tactical knife designs with custom deployment commemorative laser engraving – ask us how we can design something special for your police or military group. Choir Boys – This special satin blade, pearl push button Medium Brend knife was built and donated to the Choir Boys Motorcycle Club charity. 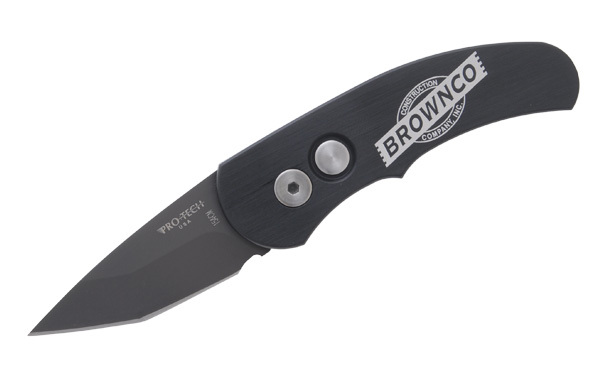 Brownco – A super corporate gift item! 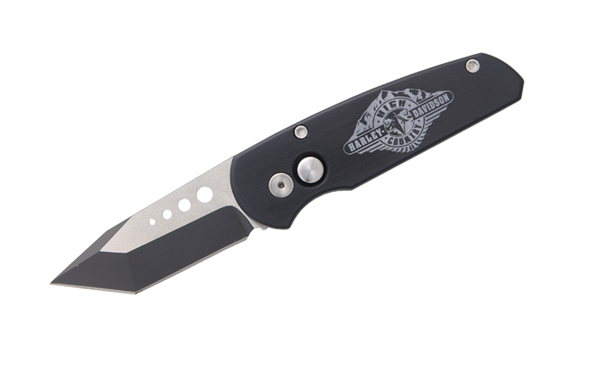 The J4 runt model 4415 Black/Black with custom laser engraving. 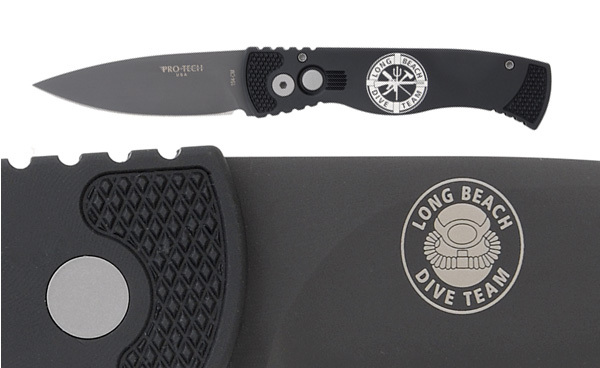 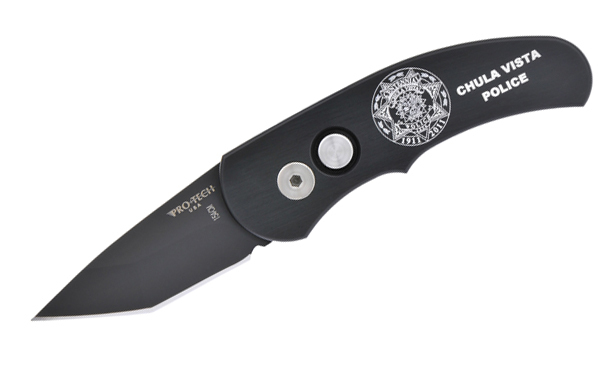 J4 Runt-Chula Vista / custom laser engraved Pro-Tech knives are the perfect commemorative item for your group – call us for more information. 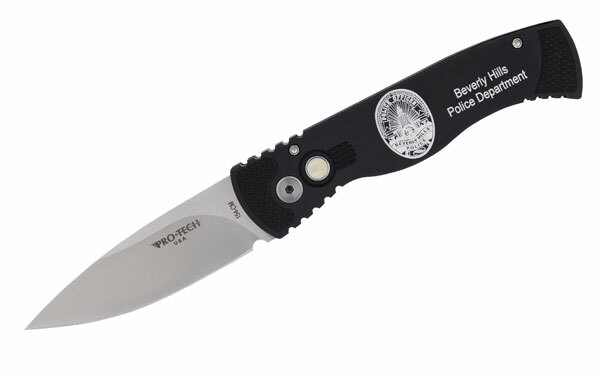 We are proud to be involved with the police Unity Tour – here is the prototype Tour Knife for 2013 – our TR-2 Auto. TR-2 Limited Edition with satin blade and pearl push button – custom laser engraved for Beverly Hills P.D. Bad Karma – Custom Military Group laser engraved TR-3. 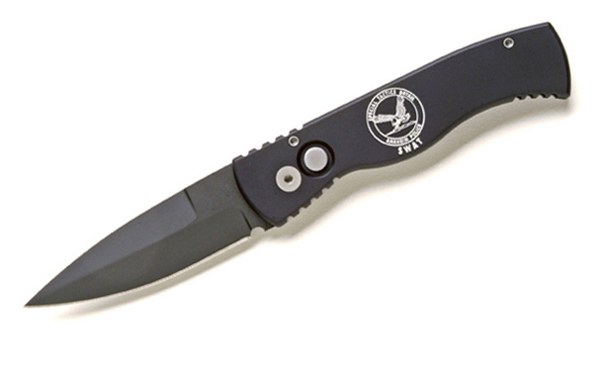 This TR-3 has black handle, black part serrated blade, and all black hardware.